By Roberta Naas (www.atimelyperspective.com), for Fratellowatches. 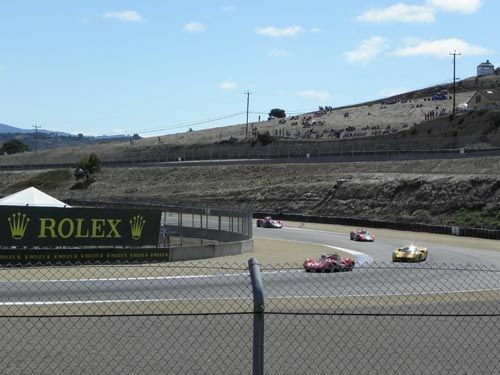 This past weekend, at the invitation of Rolex, I had the great opportunity to visit the Rolex Monterey Motorsports Reunion in Monterey, CA, at the famed Mazda Raceway Laguna Seca. Rolex has been sponsoring this event for years and for anyone who knows Rolex, and cars, you know this is the perfect symbiosis. More than 550 vintage cars – some valued in the millions — converged on the Monterey Peninsula for a classic car weekend that is unrivaled anywhere in the world. 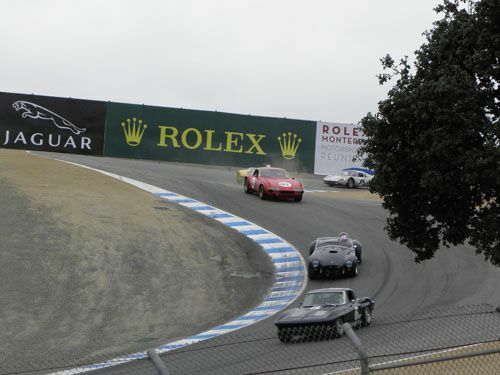 The event opens with the Rolex Tour D’ Elegance, where racers drive these vintage autos along the 17-mile drive and the coast in these stunning vintage cars. The middle days are packed with superb racing on the 2.238- mile racetrack, known for The Corkscrew with extreme 300-foot elevation drop, and 11 other harrowing turns. The weekend came to a close with the iconic Pebble Beach Concours d’ Elegance (by-invitation-only to participants) vintage auto show. This annual race is packed with excitement, especially when one witnesses multi-million dollar Ferrari GTO’s on the course, or the 1950’s – 1960’s Lotus’s, the amazing Lola’s and even some great muscle cars. As these racing and touring beauties roar by, it is hard not to be impressed by their classical elegance, precise performance and excellent aesthetics – similar to Rolex wristwatches. What’s more, wherever one looked on the track or in the paddocks, Rolex signage was boldly present. There were 17 different Rolex Race Groups competing over the two days of racing, with participants from more 27 United States, and 14 different countries. Celebrity owners and drivers included Brian Johnson of AC/DC (car owner and racer), Sir Sterling Moss, Derek Bell, Dario Franchitti, Martin Brundle, among others. While so many races were enticing and enthralling, my particular favorites were the Ferrari GTO (Gran Turismo Omologato) class, which had 13 superbly maintained 1962 to 1964-built entries, some valued at almost $30 million. Also exciting were the Jaguar Invitation Class E-types, which were celebrating their 50th anniversary. From the driver’s lounge to The Corkscrew and the paddocks, the intensity and the camaraderie of this sort of vintage racing was remarkable, with great engines – on the track and on the wrist. Rolex has been integrally involved in motor sports for decades. In 1965, Rolex added the name Daytona to the dial of its Cosmograph line in tribute to this great race at the International Speedway, where it was involved in racing. Ever since then, the presence of the Rolex brand in automobile racing has grown steadily. 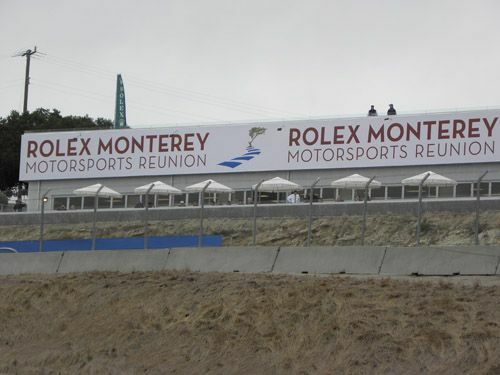 Rolex has been the title sponsor not just of the Rolex Monterey Motorsports Reunion, but also of the Rolex 24 At Daytona in North America (since 1992), and is the Official Timekeeper for 24 Hours of Le Mans (since 2001).